BUSINESS CONSULTING, DESIGN STRATEGY, INDUSTRIAL DESIGN, MARKETING. Consulted across a broad spectrum of the business from start up phase; business model design, digital/social media, communication and PR strategy, marketing and design. Oversaw implementation of website and product launches. Designed successful Product collection. It was a pleasure to help Founder Norma Silva launch Jinja in 2012 and provide consulting as the business has grown. Jinja has a passion for sharing enjoyable rituals through beautiful, sustainable products. 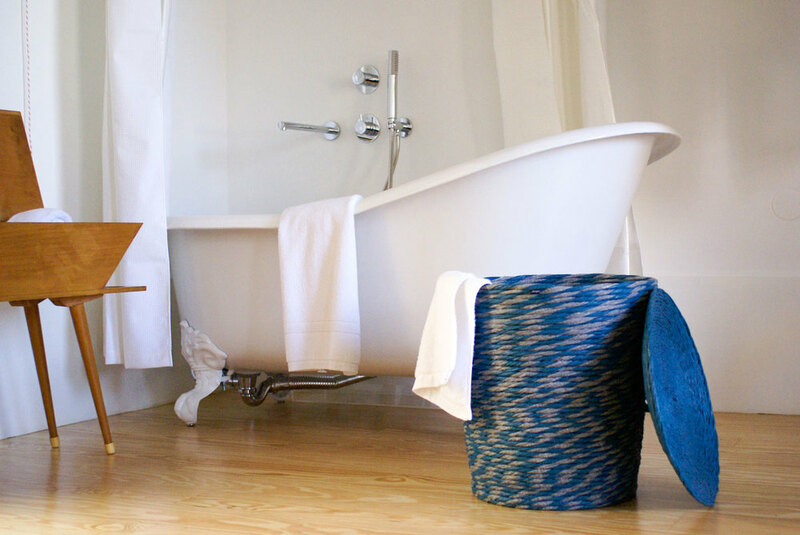 Jinja designs and makes a wide range of original, handcrafted products made from 100% recycled textile waste. Jinja has a clear conscience. Their respect for nature underlies their entire eco-design creative process, meaning Jinja products come with a seal of responsibility! With a love of material experimentation, Jinja will continue innovating in order to bring you the best product designs to accompany and help you enjoy everyday life. 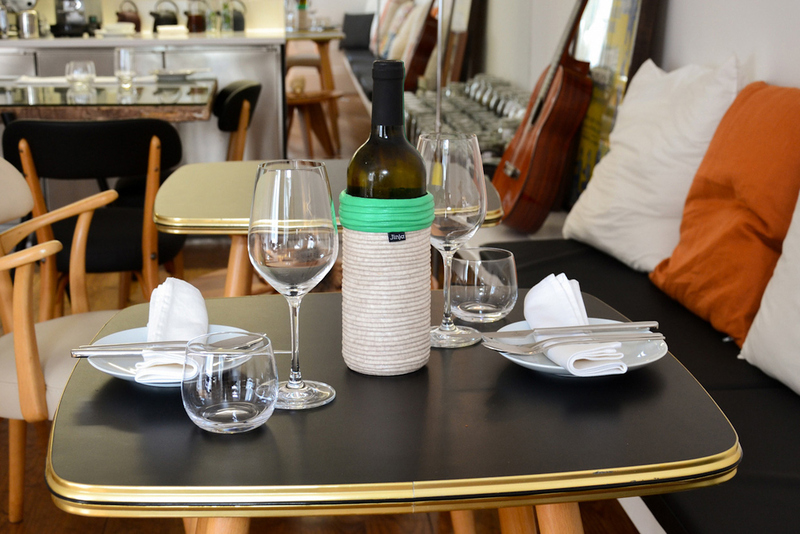 Jinja products are responsibly handmade in Portugal and have been designed around the world. 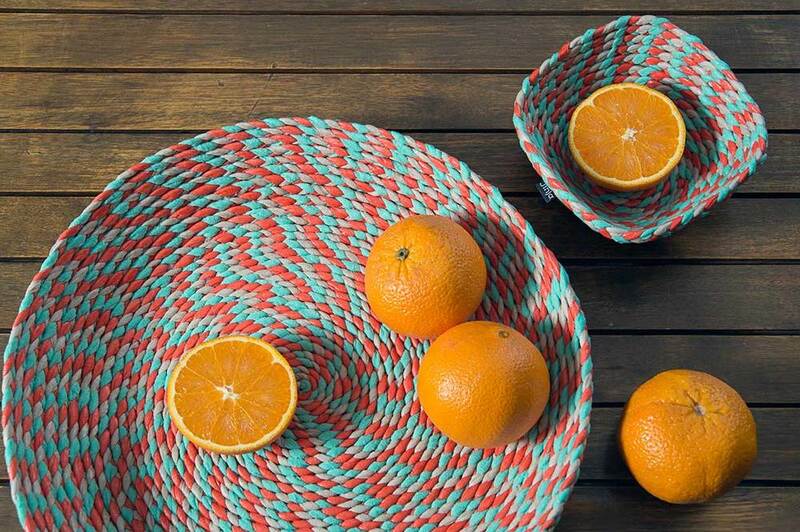 Photos: Summertime Bowl Collection, Romi Basket & Tini Basket by Jinja. - Grown to become Portugal's leading textile waste upcycling brand which has diverted 100's kgs of textile waste from landfill. Drink coolers keep your drinks ice cold and while traditional stubby coolers use virgin neoprene destined for the dump, Jinja diverts textile waste from landfill. Everyone loves a celebration. 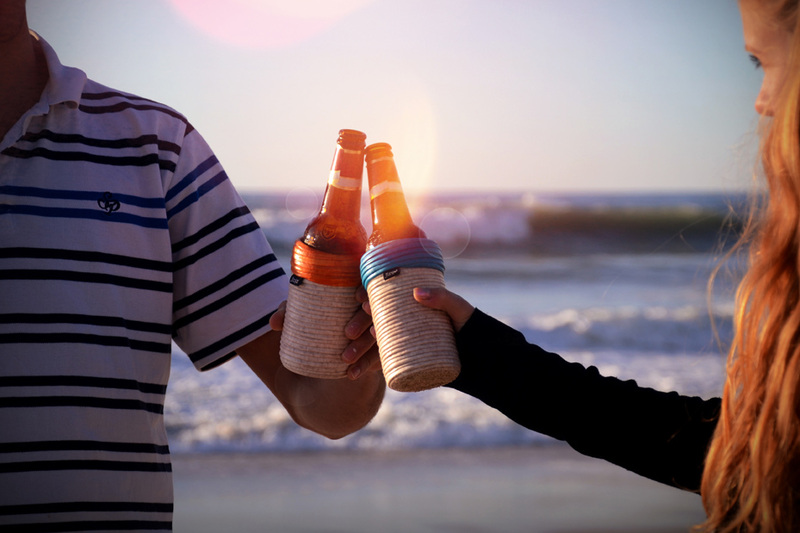 Whether it’s a party, barbacue, or a nice meal with friends, the majority of us will agree that our beer, soft drink or wine needs to be served ice cold. Jinja drink coolers are the perfect solution to keep your drinks and parties at the cool end of the spectrum. 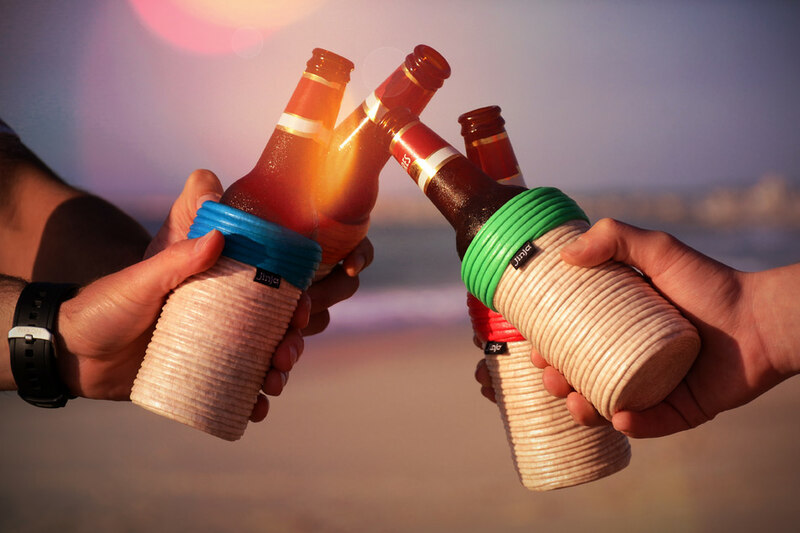 Handmade from fully recycled textile waste, they also help you remember which drink is yours! Available in different sizes and colours, they suit both casual and formal settings; from the beach through to a nice restaurant. - Provided attractive, environmentally friendly alternative to the market. NORMA SILVA, FOUNDER AND DIRECTOR AT JINJA, PORTUGAL. "Tom is a very dedicated professional with good knowledge in marketing techniques, social networks and effective methods to develop both design studios and projects. His consulting services were of great help in setting up the strategies and structures for starting the Jinja eco-design product brand. He has a great talent for creative writing across various languages. Even when working by distance, Tom always promptly answered my doubts and gave strong solutions. Tom designed a range of "drink coolers" for the brand and showed great vision in conceptualization of a new product design whilst taking into consideration Jinja's visual language and techniques. Another important thing about Tom, is his ecological values in both life and work. He seeks a sustainable approach in his design work which is particularly useful and beneficial in today's day and age."